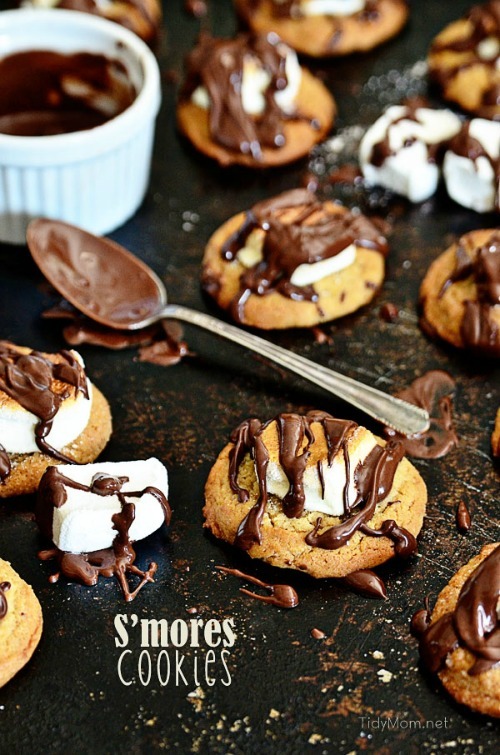 Check out this collection of the BEST s’mores recipes! 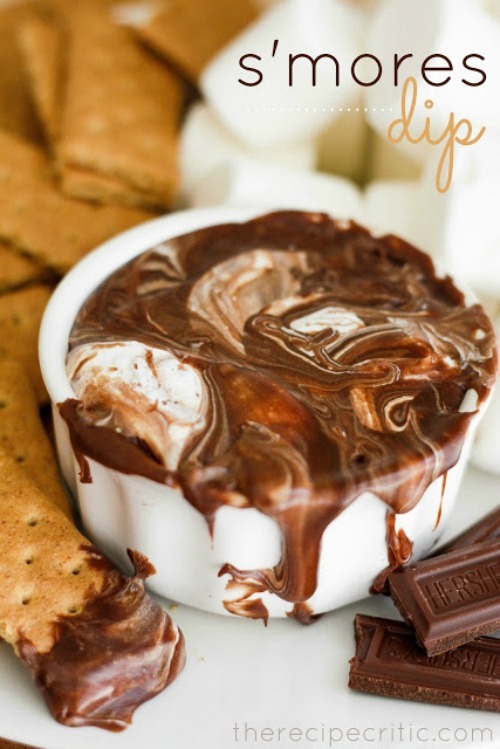 There are so many fun ways to get that delicious s’mores taste! 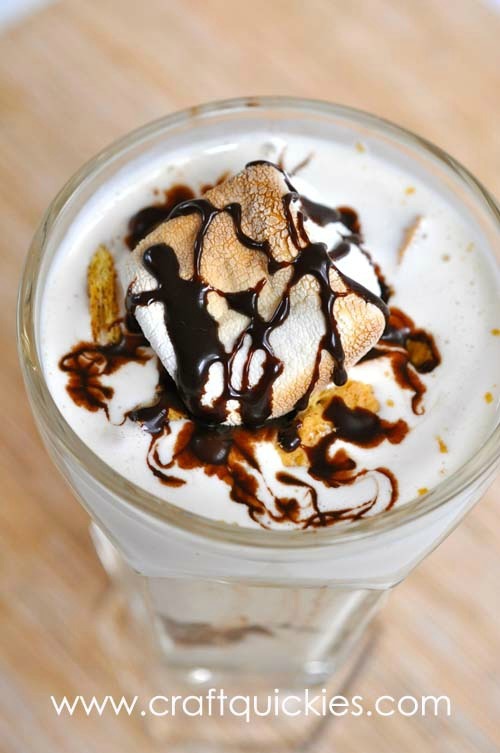 S’mores Milkshake from Bombshell Bling. 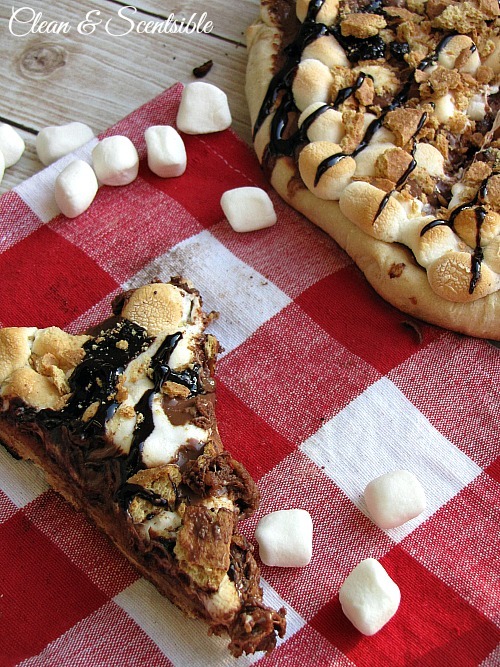 S’mores Brownie Pie from Averie Cooks. 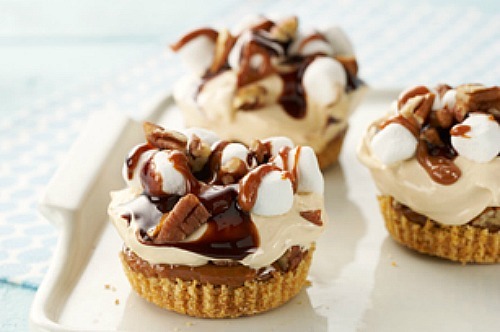 Turtle S’more Cheesecake Minis from Kraft. 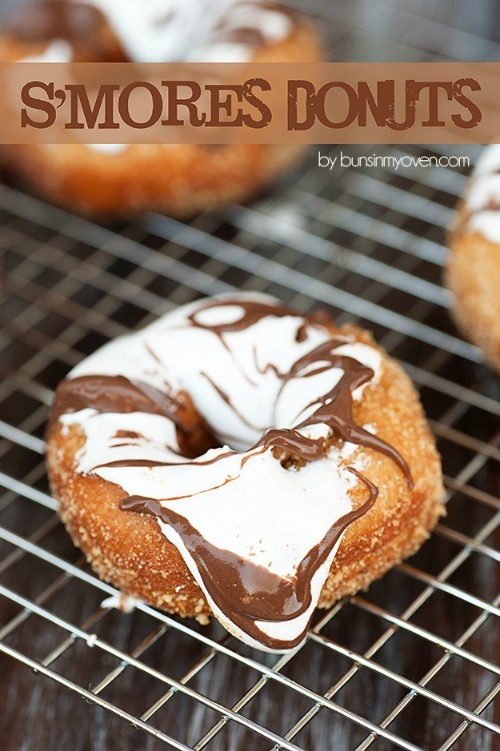 S’mores Donuts from Buns in My Oven. 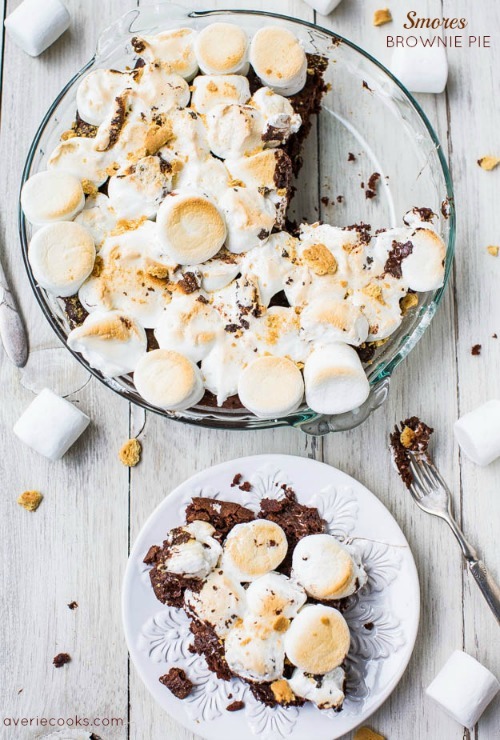 Skillet Smores Brownies from Satori Design For Living. 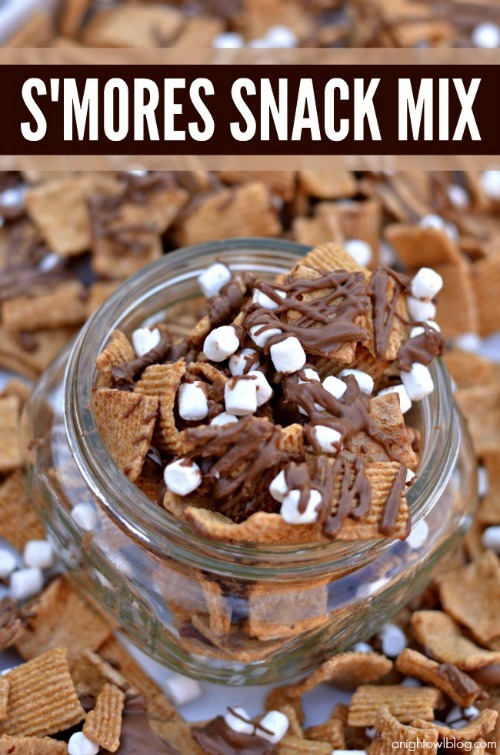 S’mores snack mix from A Night Owl. 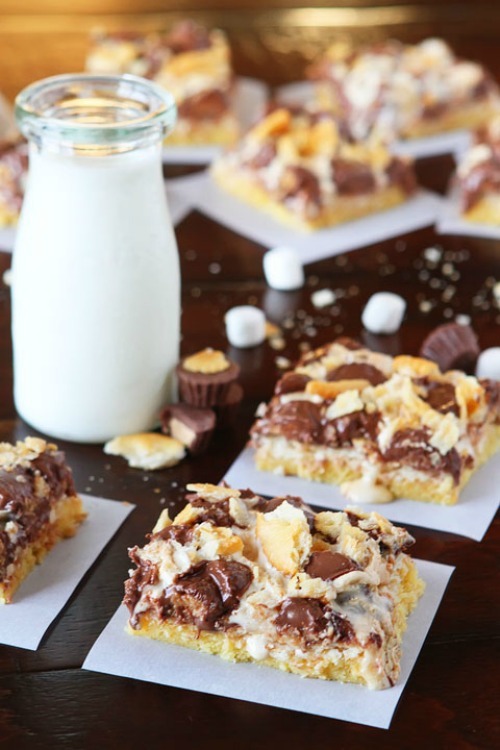 Ritz Peanut Butter Cups S’mores Bars from Kevin and Amanda. 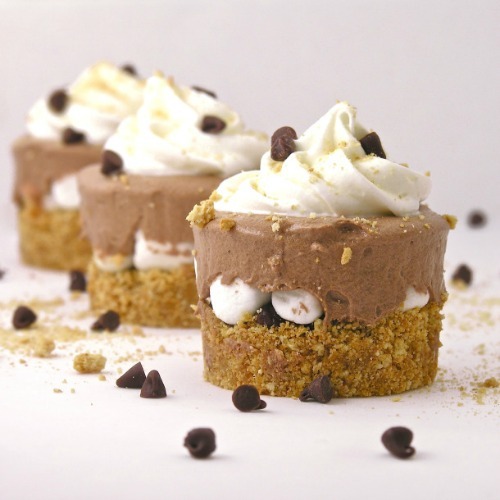 Frosty S’mores Cups from Easy Baked. 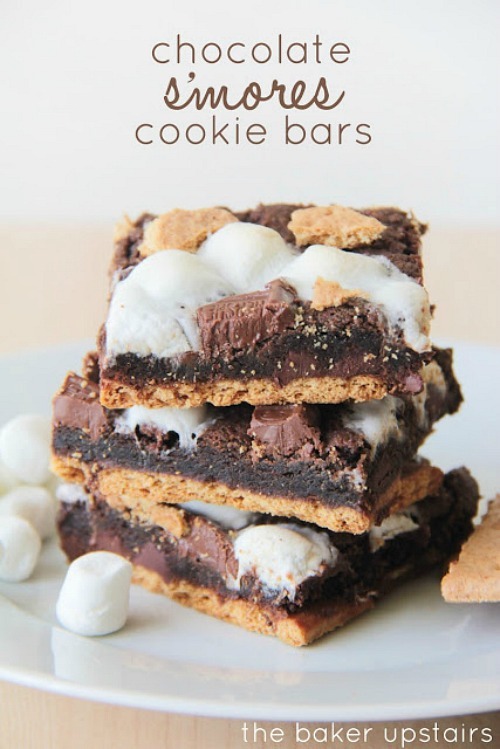 Chocolate S’mores Cookie Bars from The Baker Upstairs. 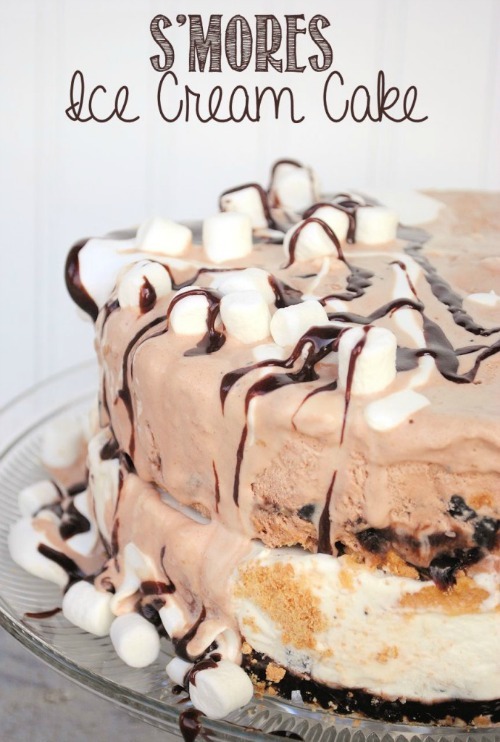 No Bake S’mores Cheesecake from Life with the Crust Cut Off. 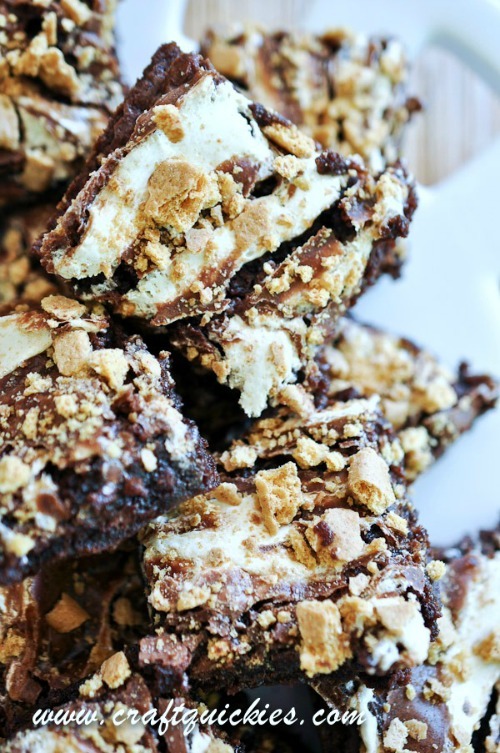 S’mores Swirled Brownies from Bombshell Bling. 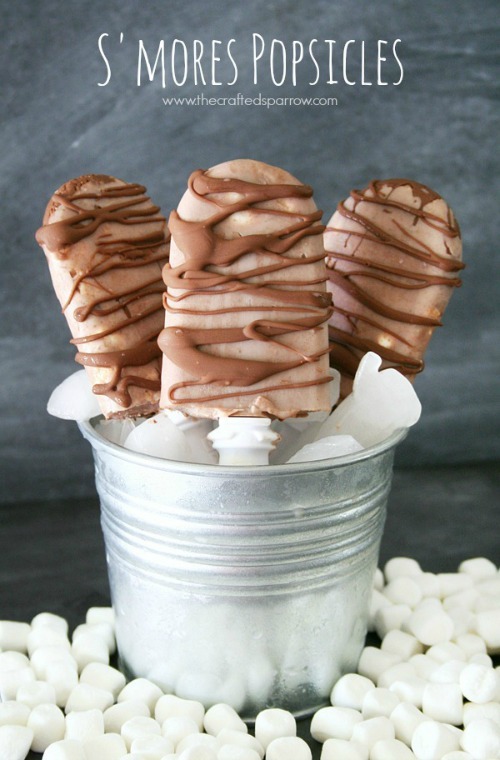 S’mores Popsicles from The Crafted Sparrow. 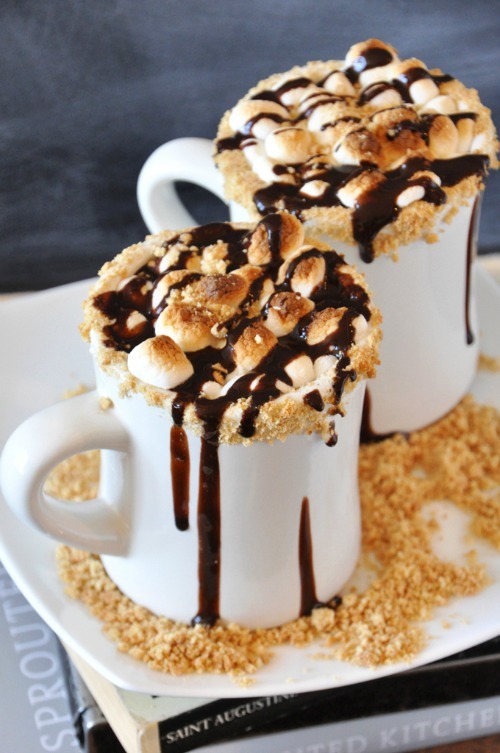 S’mores Hot Chocolate from The Minimalist Baker. S’mores Box from Clean and Scentsible. 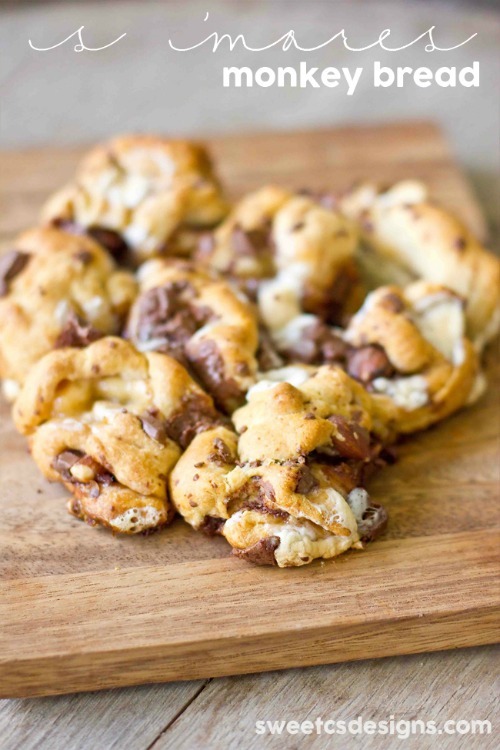 Mix and match cookies and fillings for a custom s’mores treat! 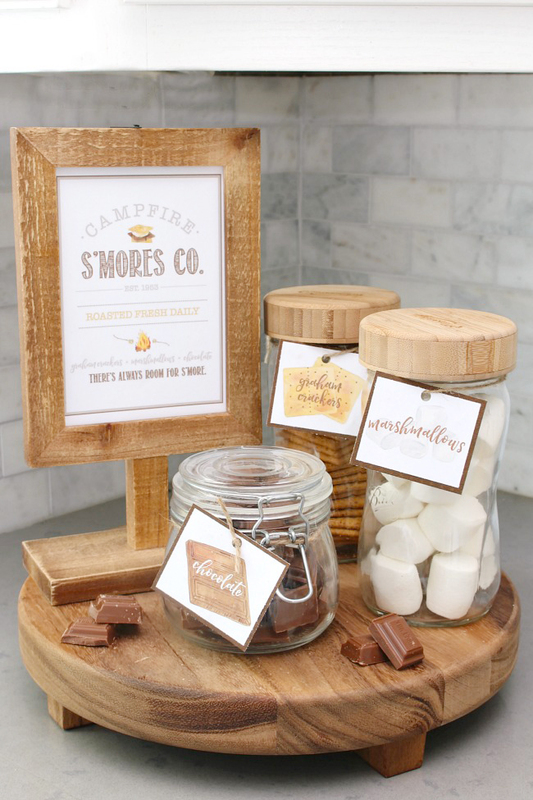 If you love s’mores as much as we do, you can even create your own s’mores bar at home with these cute free s’mores printables. 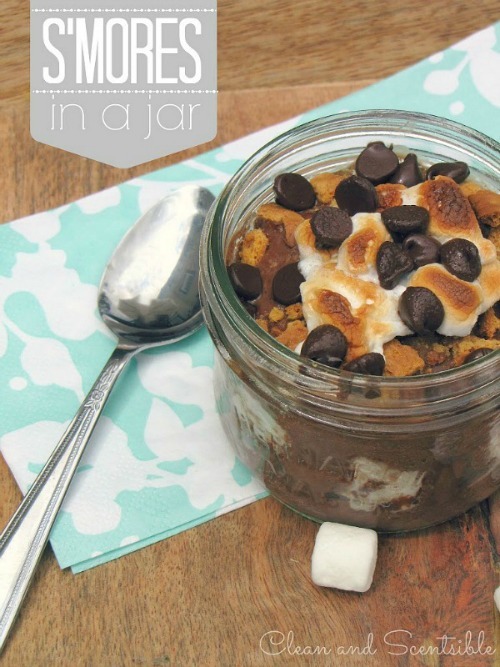 Just print out the s’mores labels and add them to mason jars or other storage containers for a fun and accessible treat. 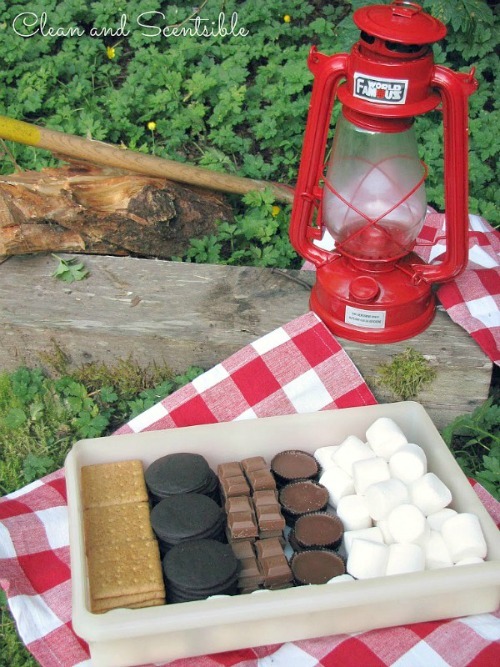 We have a firetable on our back patio that’s perfect for a quick marshmallow roasting, but this DIY s’mores maker would be easy to create too! 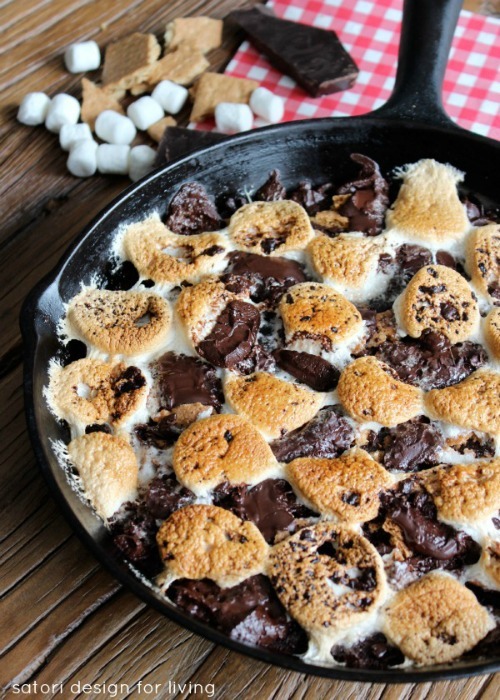 Now doesn’t that make you want to get up and make some s’mores? 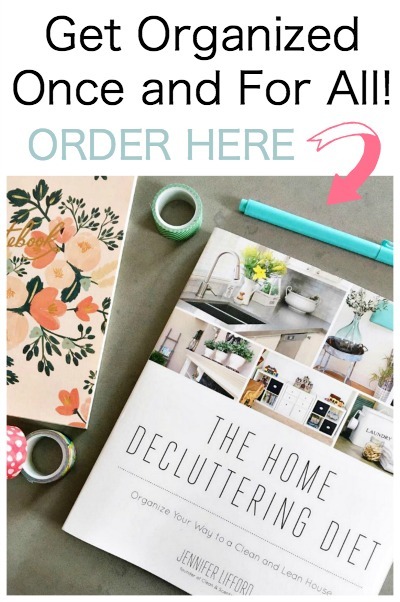 Do you have your own favorite? 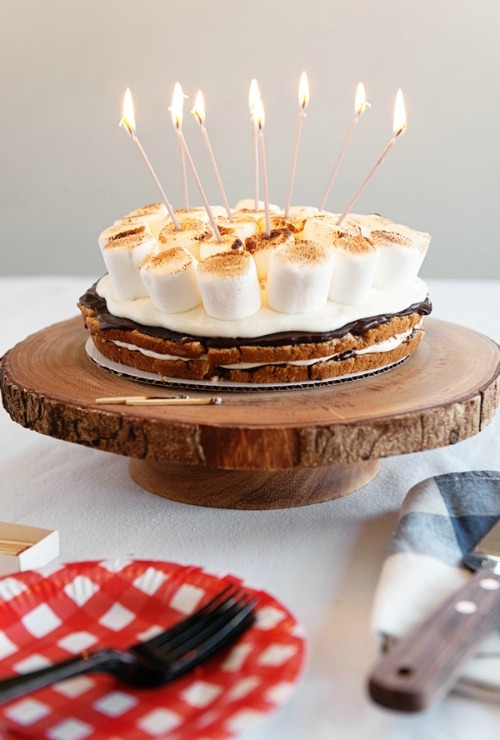 I’m always open for s’more ideas!! S’mores are my weakness! 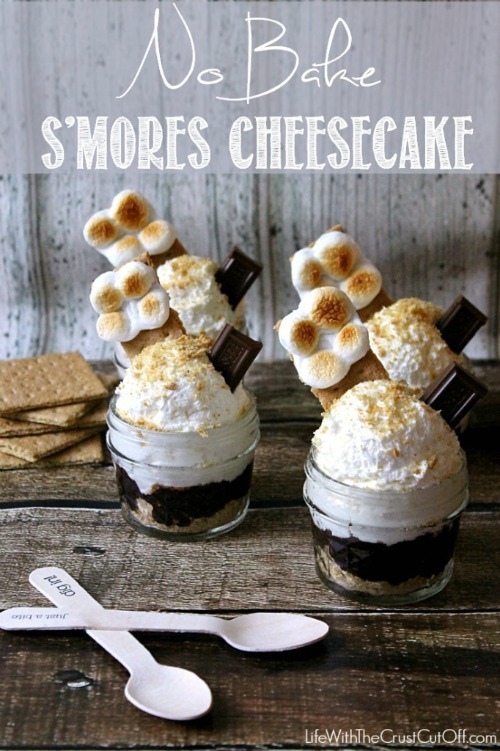 I have not found a s’mores I haven’t liked…can’t wait to try all these recipes! Thanks Jenn! I totally agree!!! 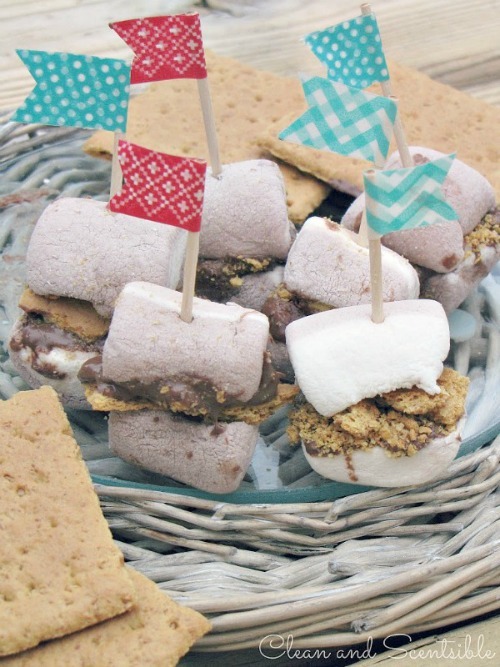 How can you go wrong with chocolate, marshmallow and graham crackers? Enjoy!